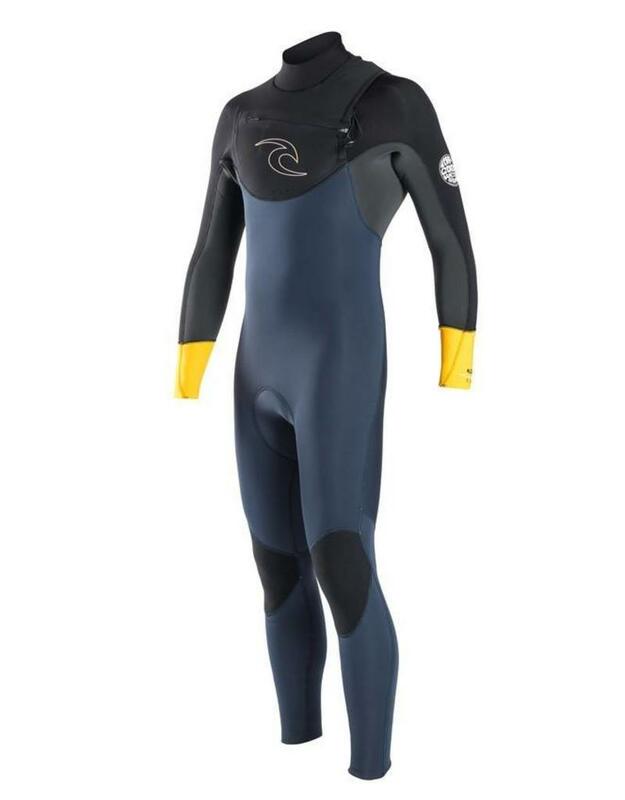 The Rip Curl Dawn Patrol 4/3mm Mens Chest Zip Wetsuit has undergone a RADICAL overhaul, now featuring 100% E4 neoprene!!! 20% Lighter that E3 and more flexible, 100% Stretch wetsuit for an INCREDIBLE price, definitely a Wetsuit Centre recommendation. The Rip Curl Dawn Patrol wetsuit is one of our favourite wetsuits we sell, now made even better with a flash dry thermal lined chest panel! our customer's love it's as well. It amazes us how many features from the top and mid range Rip Curl range are packed into this wetsuit. Rip Curl have placed their highest grade neoprene (E4 PLUS) throughout the key performance areas of the wetsuit to give the Dawn Patrol even more high performance flexibility where it counts. When the Dawn Patrol is worn the E4 neoprene makes this wetsuit feel most comfortable and gives a sense of freedom within the wetsuit. To give added comfort the Dawn Patrol also features a smooth rolled collar to prevent chafing and rashes.